AS A GRADUATE STUDENT, I wrote one of my first research papers on Lothar Baumgarten’s film Origin of the Night (Amazon Cosmos) (1973–77), though securing access was no easy task at the time. Shot on 16 mm, it had a magnetic soundtrack and required a special projector to transmit the recording. Marian Goodman generously stepped in to assist, and the film was screened for a small, private audience at the Whitney Museum of American Art in 2001. In the months following the screening and increasingly during our professional relationship (and, ultimately, friendship), I met and spoke with Lothar on various occasions to further discuss his work, and was always struck not only by the breadth and depth of his thinking and artistic practice but also by his generosity, both intellectual and personal. Lothar’s work is characterized by a calculated visual economy that combines various layers of meaning, resulting in what Hal Foster once called “disruptive rememberings.” Lothar always directed such disruptions toward representation’s seemingly self-evident meanings and the particular exclusions and naturalized assumptions that representations conceal. Across his various artistic projects, from Accès aux quais: tableaux parisiens (Access to train platforms: Parisian tableaux), 1986, to “AMERICA Invention,” his 1993 exhibition at the Solomon R. Guggenheim Museum in New York, Lothar continually asked viewers to read representation through past and present histories, while engaging the phenomenological experience of each work’s physical location. Accordingly, for this art historian, what remains singular about his work is its impeccable materialization (what Lothar would call “the make”), both visual and acoustic. 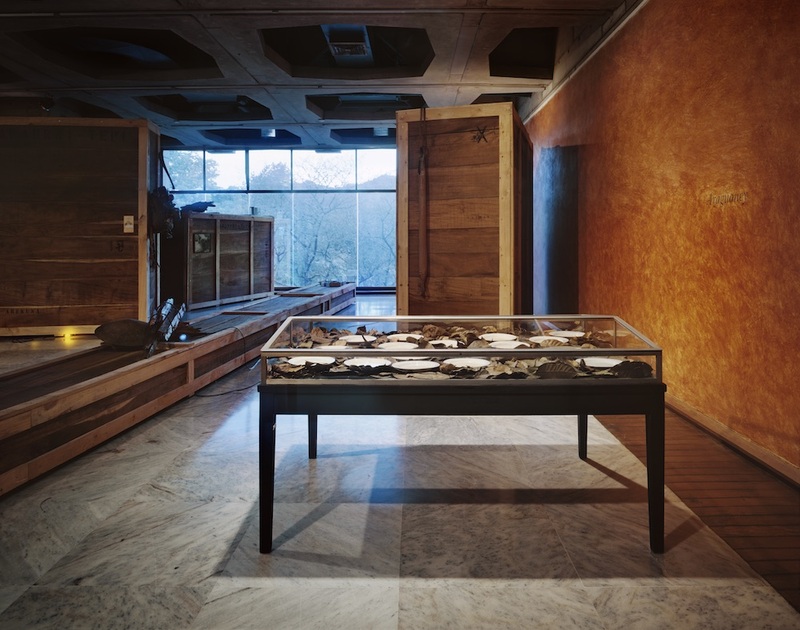 I can think of few artists who have so deftly left museum spaces near empty only to have them filled with sound, as in his recent “The Ship is going under, the Ice is breaking through” (2016–17) at the Museo Nacional Centro de Arte Reina Sofía’s Palacio de Cristal. The work yielded an acoustic image for our current ecological crisis, marrying sound to an architectural setting that magnified its dramatic effects. To be sure, Lothar’s engagement with the sonic was not a recent turn in his practice. It was always already there—one might recall how Origin of the Night’s soundtrack comprises sixteen different layers of manipulated sound, capturing everything from the din of thunder to the crescendo of croaking frogs. Lothar Baumgarten, Wegwurf (Throwaway), 1985–86. Museo de Bellas Artes, Caracas, Venezuela, 1986. 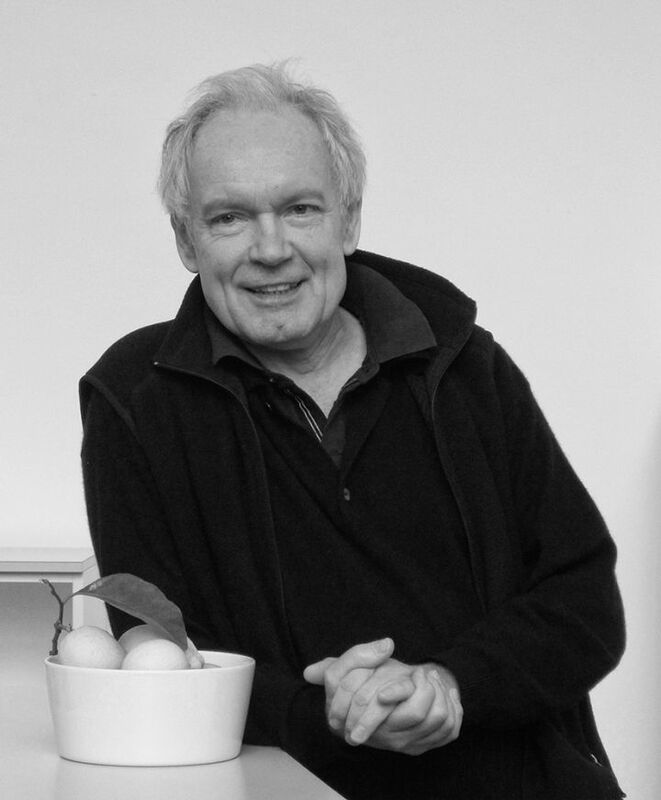 During our first meeting, I vividly remember asking Lothar: Why isn’t there a published monograph of your work? He responded that we would embark on such a project together. Seven years later, I introduced the anthology of essays published on the occasion of his exhibition at the Museu d’Art Contemporani de Barcelona, and that same year I began editing the catalogue for the eponymous, predominantly sound exhibition, “Seven Sounds / Seven Circles” (2009) at Kunsthaus Bregenz. The latter volume was composed of newly commissioned essays by a younger generation of authors tasked with addressing the undertheorized aspects of Lothar’s practice, from his research process and careful attention to materials, language, and placement to his use of architecture and photography as supports. My love of Origin of the Night—for how it oscillates between abstraction and representation, materiality and communicative content, as well as how it enacts a self-reflexive critique of naturalized modes of cinematic viewing—came full circle the week before Lothar’s passing, with the film’s installation at the Fourteenth Cuenca Biennial. The artist Julien Bismuth and I each checked the film to make sure the digital projection was properly installed in the city’s Alliance Française. Beyond this care for the presentation of Lothar’s work, in Cuenca my partner and I also received a special gift from a friend: a portrait of Lothar by conceptual artist Roberto Obregón. The portrait consists of a small can wrapped with faux-marbled paper and filled with Bixa orellana seeds, the seeds from which Lothar derived the pigment for painting the walls of the Museo de Bellas Artes in Caracas for his 1986 exhibition there. About two years ago, I learned from Lothar that he had similarly painted a home in a neighboring shantytown in Caracas. One of the museum’s workers had asked this favor of Lothar, who, in characteristic fashion, dutifully complied with the request. Thus, for me, Obregón’s “portrait” of the artist in Venezuela holds not only a material from Lothar’s practice but also his shared memories, and my memory of Lothar fervently describing how his use of the pigment had traveled beyond the museum’s walls in a way that escapes the art-historical record. I can only imagine Lothar’s equal measure of pleasure and careful dedication when painting the museum as well as the man’s home. Lothar’s person was imbued with such contagious combinations of joy and commitment, generosity and rigor, youthful enthusiasm and wisdom. Kaira M. Cabañas is associate professor of art history at the University of Florida, Gainesville.